Do you remember the good times of anxiously waiting for the big smartphone launch events to discover the latest innovations the different brands had to announce? I sincerely miss them: the anticipation was exciting and events were always interesting. In 2018, with leaks and previews already prepared by companies, there is no longer any reason to follow the live events except for the show. Why should I look at the next Samsung Unpacked if I already know everything (or almost)? I still remember the Samsung Galaxy S3 launch event: the countdown for the event had already started and little or nothing had leaked about the new Galaxy. We all waited on the edge of our seats with bated breath during the show until the announcement of the most loved Galaxy S ever. With a new design, new software, new functions, the smartphone immediately became the object of desire of millions of users. Can the same be said of the events in 2018? Take for example the launch event of the Galaxy S9, which took place in Barcelona during the MWC: of the two new Galaxy smartphones we already knew appearance, exclusive functions and technical features. At the end of the day, the entertainment of the Korean company's emotional videos was the only reason to follow the event. For Note 9 it's the same; the last leaks are gradually going to complete the overall picture around the next phablet from Samsung and the company will have very little to surprise us with. Music control: The S-Pen will allow you to pause or resume listening to music tracks as well as skip to the next or previous track. Camera: You can use the S-Pen as a remote control to take a picture. Unlock: You can unlock your smartphone (or tablet) using the pen remotely. App: Better integration of the S-Pen with pre-installed Samsung applications. Quick actions: You can program any action or opening of any app to single, double or prolonged pressing of the button on the nib. What else? The S-Pen this year will be equipped with Bluetooth, will also be compatible with the new tablet, will have its own battery that will be recharged when the stylus is inserted in the body of the Note 9, probably on the button will have a fingerprint reader to unlock the two new Samsung devices (Galaxy Tab S4 will not have a fingerprint reader coincidentally). 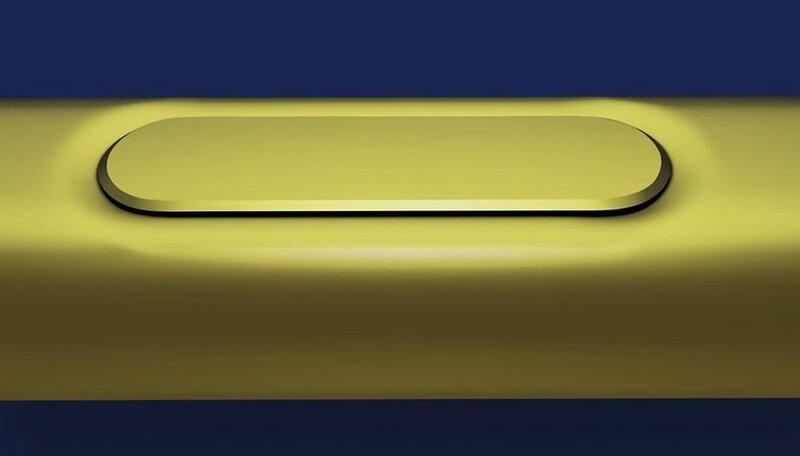 The design of the Galaxy Note 9 is no longer a secret for a few weeks now. Even DJ Koh has been caught using his smartphone in public, it seems that the company cares little about keeping the secrets now. Galaxy Tab S4 has appeared in some renderings equipped with some of the latest technical specifications. It's true, not everything has been leaked yet but the essential information has already circulated on the net and many more will arrive in the next few days. When Samsung unveils these two new devices on stage in New York, I'll probably be in the kitchen, in front of the fridge uncorking a good fresh beer to fight the summer heat. Can we move on to the next announcement please? There is no more joy for accessories either. It's Roland Quandt, a famous Twitter leaker, who unveiled to the world the new Wireless Charger Duo from Samsung that can reload the Note 9 along with the Korean company's new wearable. The charger will use the QI standard, a good replacement for Apple's AirPower not yet available almost a year after its launch. In Samsung there is not even room for one last surprise announcement, even the Galaxy Watch has been in the radar of the leakers for weeks now and I am sure that we will know the watch in detail long before the start of the launch event. In 2018 companies can't (or don't want to) keep a secret anymore, the wow effect of live events has disappeared and even fans are no longer anxiously waiting. Of course there may be some small announcement or function that the leakers missed but certainly not such information will make the Unpacked event epic again. Is the general interest in Samsung's new top-of-the-range products waning, due to too many leaks? Users seem to tried of the hype around new smartphones well before they are even launched, which could be one of the reasons for Samsung's declining top-of-the-range sales. Moreover, the competition is not looking on and little-known companies in Europe are taking advantage of the little innovation of the most well-known brands. OPPO's Find X and Vivo with the NEX have certainly captured the attention of more users than a Galaxy S9 that again and exclusively has little or nothing. Samsung can't amaze us like it used to. A tip as a journalist, as a user but above all a passionate tech enthusiast: please Samsung, learn to surprise us again and many of us will be once more willing to open hearts and wallets to your products. What do you think of all these leaks? Should Samsung go back to keeping a few secrets so it can surprise us again? I put the blame completely on the leakers as it's them who bribe internal employees for leaks etc. Move along, folks. It's just a Note 8 with a SD845 chip. Have Samsung just over priced the Note 9 just to try to make there S9 phones more cheaper to buy and improve there sales?What"s the use of purchasing the Note 9 when the future S10 models will be offering more better features?